Thank you for showing interest in the "You Choose to Loose Challenge"!!! I am so excited to run this amazing program, and I can't wait to see how many people "choose to lose" the weight they have wanted to loose for so long. If you're anything like me, I need something or someone to light the fire under my you know what in order for me make those changes I have been daydreaming about month after month after month. Well the good news is, we are not only going to make sure that you are successful, but we are also going to make sure that you learn how to make those changes as part of your life style, ensuring that you no longer need to guess how to do the right things, but you will actually have all the right tools to continue your journey down the road of success. OH Yeah I forgot to mention that should you totally rock this challenge you have the chance to win $500 bucks, and yes there will be one female winner and one male winner! Ok so here is the low down of how it will work once you are entered into the challenge. STEP ONE- Decide you are going to do this, yes believe it or not that is step one, you need to realize that this is a challenge and I am going to challenge you ever week!! I am going to ask you to commit to you goals and I am going to ask that you work as hard as you possibly can at achieving those goals! SO HAVE YOU COMMITED??? STEP TWO- Sign up for the Challenge! The challenge has a $100 enrollment and we must have a minimum of 10 people…so tell your friends and get them to join in on the fun!! 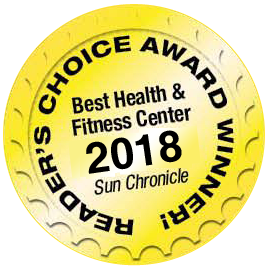 STEP THREE- Come to the "You Choose to Lose" First weigh in and meeting, located at the Foxboro Answer Is Fitness, promptly at 8am Sunday November 24th! You will be weighed in and added to our system as full on contestant…. 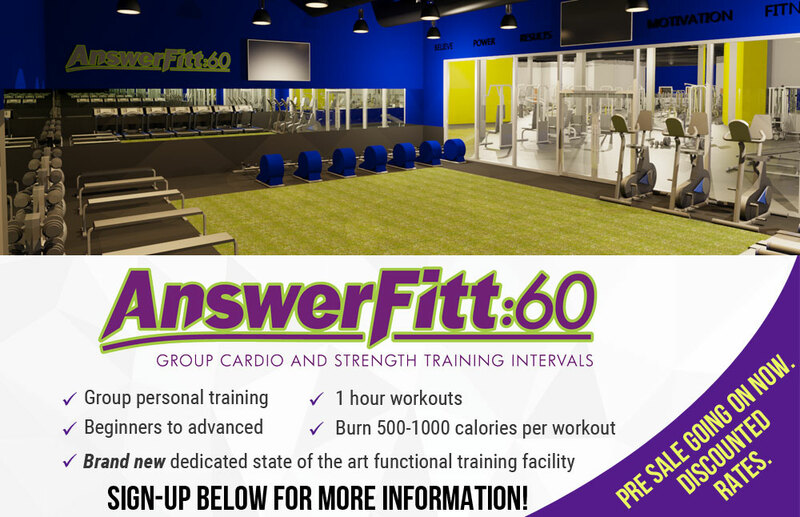 Please advise that if you cannot meet at this time email Erica_garrity@answerisfitness.com and she will find an alternate time for you… The meeting is preferable, however. STEP FOUR- Choose a package! We will discuss this during the meeting. My assistant Melanie will be helping me and we will be walking you through all the different options. STEP FIVE- Begin your challenge!! OHHHHH Yeah here we go!! You chose to lose now get that hiney in gear and lets make it happen!! Should you have any further questions please feel free to email me!!! Thank you again and I look forward to working with on you road to success! This package has no training involved. You are required to attend all three weigh ins… details will be provided at the first weigh in scheduled November 24th at 8am. One training session per week, either Friday morning at 6:30am in North Attleboro location, or Sunday Morning at 8am in Foxboro location. You will need to commit to one location that works best for you. Two training sessions per week, you may come to both Foxboro and North Attleboro locations. Sessions are held Friday mornings at 6:30am and Sunday mornings at 8am. Two training session per week, you may come to both Foxboro and North Attleboro locations. Sessions are held Friday mornings at 6:30am and Sunday mornings at 8am. This package will apply when you sign up for any of the Isagenix weight loss shakes, bars and/or supplements. November 24th 8am-10am- FIRST WEIGH IN!!! All participants are required to attend the weigh in. Location Answer Is Fitness Foxboro. Please arrive on time. February 23rd (Sunday) 7:30am- 9am- 2nd Weigh In (North Attleboro location) Finial weigh in!! Announcements for the male and female winner will be given Sunday afternoon via email!! Should you be the winner, you will be able to collect your money will ready on Monday morning.